The energy company BP, whose Deepwater Horizon oil spill in 2010 caused one of the worst ecological disasters in history, has been given a costly taste of its own medicine by one sharp-snouted ocean inhabitant. According to a report from the International Energy Agency, a floating BP facility off the coast of Angola was forced to halt production last month after an Atlantic blue marlin attacked one of its oil pipelines. An official from BP confirmed to Bloomberg that the billfish had punctured a hose at the Plutonio field storage barge, forcing a five day stoppage on the transfer of crude -- preventing an estimated 900,000 barrels of oil from reaching market and leading to losses of some $100 million. Thankfully, there were no reports of an oil spill following the marlin's unwitting act of sabotage. BP says that the facility will remain closed for the maintenance until the end of March. 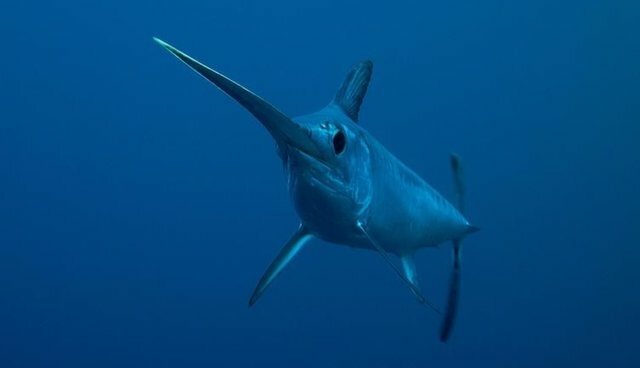 While it's unclear why the marlin may have attacked the pipeline, Forbes notes that offshore oil platforms are known to attract marine species, including marlin, which are known to stab and slash at prey with their pointed bill. It would be hard to blame the animal if it was acting out of animosity towards BP, however. A study has shown that marlin and a number of other aquatic species are still reeling from the effects of the oil spill in the Gulf of Mexico. Researchers say that toxins still present after the cleanup are responsible for causing cardiac arrest in fish even four years later.